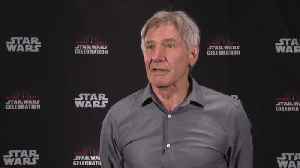 Harrison Ford has just called out President Donald Trump over his stance on climate change and pleaded for help with protecting the world’s ocean in a speech at the World Government Summit in Dubai. 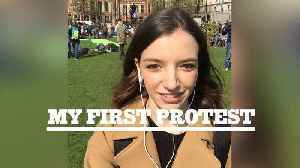 We asked someone to make their voice heard at their first protest and show the world what they’re seeing using a GoPro. 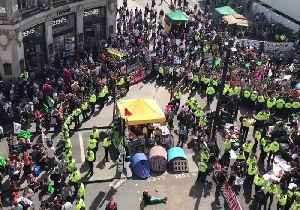 Here’s what it’s like at a protest for people in London fighting for.. 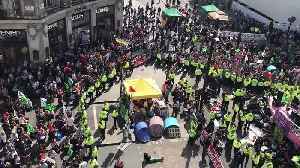 According to a report by Business Insider, climate change protestors in London have caused a week of chaos, blocking major roads, crippling public transport, and even gluing themselves to trains, all..
Members of London’s Metropolitan Police stood hand-in-hand to cordon off demonstrators at Oxford Circus on Friday, April 19, stopping more people from joining a climate change protest.The.. 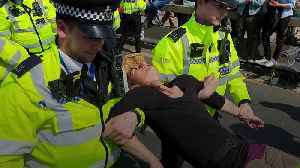 Climate change protests continued on Friday, with activists arrested on Waterloo Bridge, and young people demonstrating at Heathrow Airport. 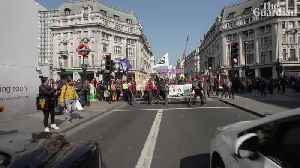 It was the fifth day of Extinction Rebellion action. 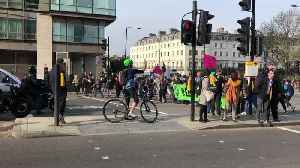 Environmental activist group Extinction Rebellion have blocked off Vauxhall Bridge Road in central London during rush hour. 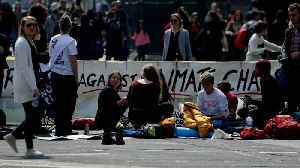 The climate change protesters have been attempting to force the government..
Environmental campaigners gathered in central Belfast yesterday to call for urgent government action on climate change. This Earth Day, we remember those who started a movement. 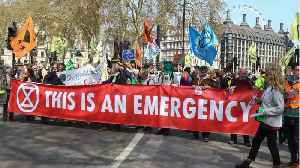 Today we need to work together to end climate change for our planet. 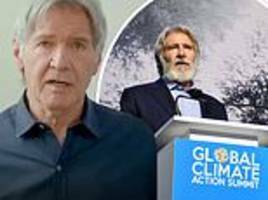 There's no Planet B.